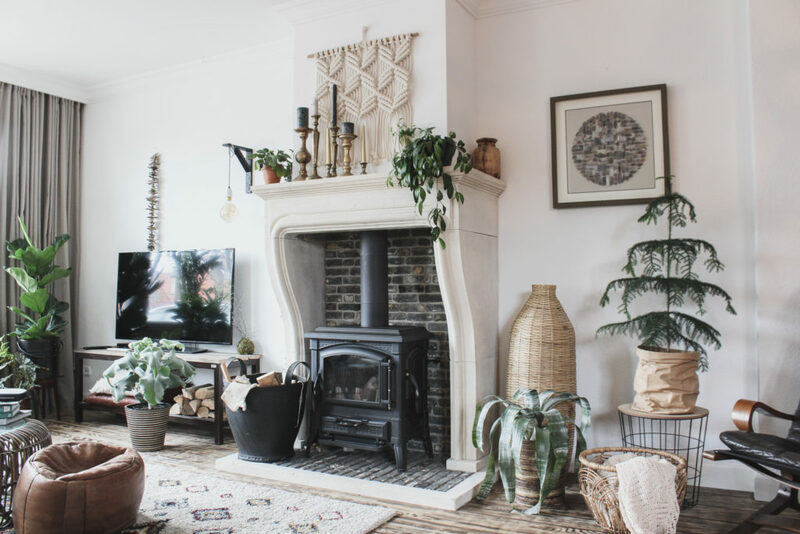 Because I get a fair few questions about our fireplace I thought it would be a good idea to write a blog about it during these cold days in winter. Our fireplace took some doing before it was finally in place. But I couldn’t live without it anymore! 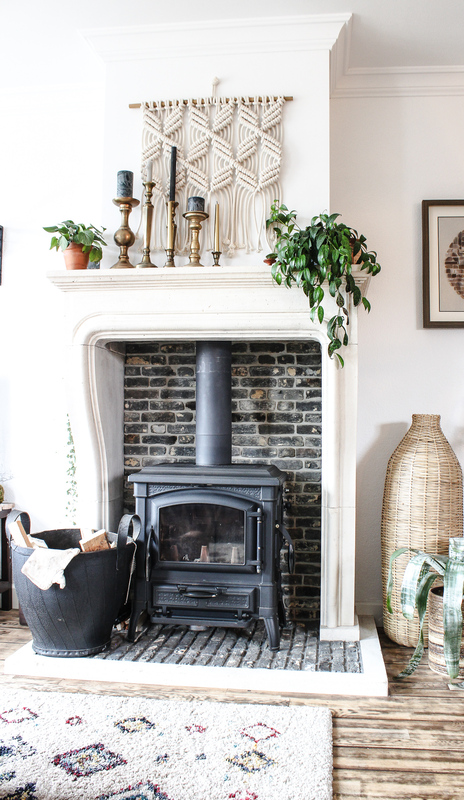 When we bought our house it had an old-fashioned gas heater with a terribly ugly mantle. We didn’t even dare using this heater as we were worried about blockages. Even despite sweeping the chimney. We just didn’t have the guts. After living here for a few years we were going to replace the heater. 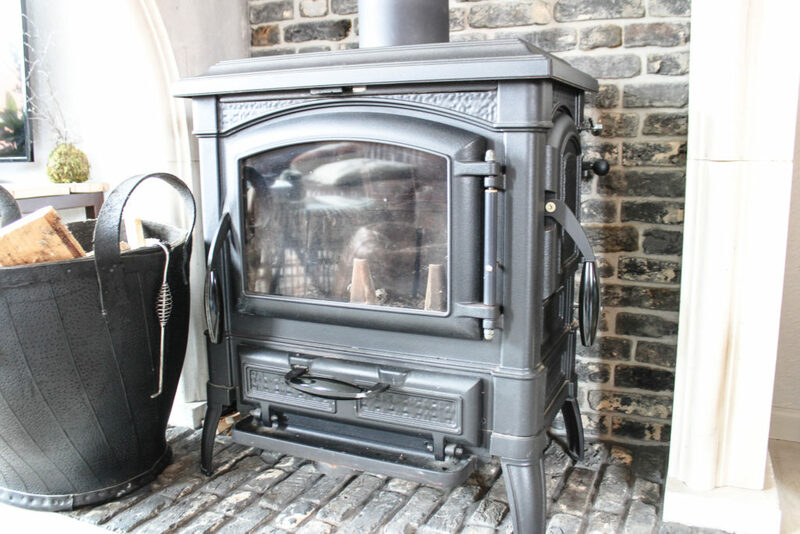 We investigated all options of a wood stove; funnily enough another old-fashioned model had our preference. Because we had to work around the old mantle we decided we would place a new one in a higher mantle. I searched the Internet high and low and eventually stumbled upon a limestone mantle from France. I loved it and thankfully hubby did too. We ordered the mantle and fireplace and left installation to the experts. The safer option. We kind of forgot we needed a concrete slab in the cellar. Oops. That was a bit of an issue to forget. They were already busily demolishing and preparing for installation when this came to light. The heater including the mantle almost ended up a level lower… The floor never would have held. Luckily we found out in time. And now we’ve been enjoying our fireplace for years. In summer I sometimes wonder how much space I could create if we didn’t have it but as soon as it gets colder I am happy we installed this fireplace. It’s provides so much lovely heat! In addition, it smells wonderfully and adds to the ambiance due to the cosy crackling of the wood. Sometimes I sit in front of it with a good book. Lovely! Also our pets and Teun happily cosy up in front of it when it’s on. Do you have a fireplace? Or are considering one? I can highly recommend it!